Planning your conference at Temple is just a click away. 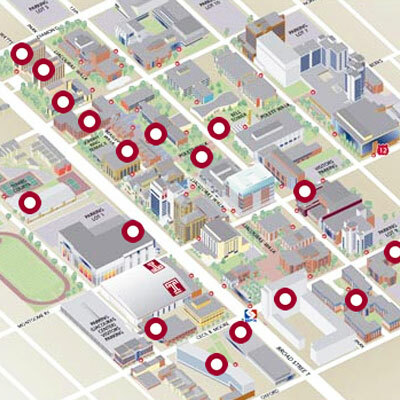 The Temple University Conference Services Plan of Operations includes the guidelines and tools to produce your event. The Plan of Operations will assist you in planning your event, as well as overviews of services offered, housing accommodations, campus living, and much, much more. The Conference Services Plan of Operations is a step-by-step guideline to assist you in planning your conference here at Temple and contains everything you need to know about Temple’s accommodations, residence halls, and much more! Temple University is a stop on many local public transportation routes. Follow the links below to find directions, schedules, and routes for your preferred method of transportation as well as on-campus parking information.